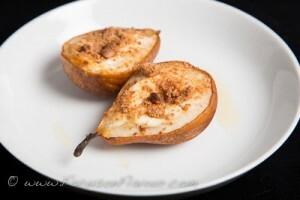 Mmm, soft pear topped with a creamy, crunchy topping, and under 100 calories a serving! There are still some lovely European-grown pears to choose from – these are small Williams pears. Cut the pears in half and scoop out the cores with a spoon, leaving a nice smooth hollow. Put the pears in an ovenproof dish. Fill the hollows with fromage blanc and drizzle with half the honey. Bake for 10 minutes, then crumble the amaretti cookies over the top. Serve with the remaining honey drizzled over or around. 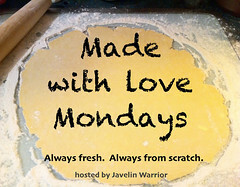 Sometimes I add a little water to the dish before baking, to make a light sauce (could use masala wine for a treat day). 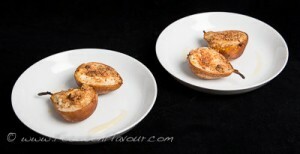 100 calories per serving, if you use small pears (if they are large ones, have just half a one each). 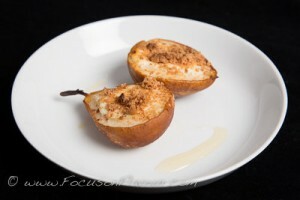 This entry was posted in Desserts, Recipe, Seasonal produce and tagged 5:2, amaretti, dessert, low calorie, pear by Belinda Berry. Bookmark the permalink.